You might have HACCP…but do you have HARPC? 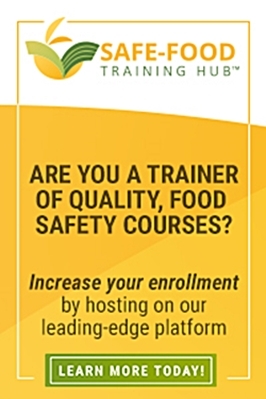 HACCP alone won’t cover you for key rules under the Food Safety Modernization Act. It’s unsurprising that modern food safety regulations would bear a resemblance to Hazard Analysis Critical Control Point (HACCP). Even though it first showed up in food manufacturing in the 1960s, HACCP is still our basic food safety model. Hazard Analysis Risk-Based Preventative Controls (HARPC) looks a lot like HACCP on the surface. But having a HACCP plan does not mean you’ll comply with HARPC requirements under the Food Safety Modernization Act (FSMA). To comply with rule #1 and 2 you need HARPC. HARPC covers products that fall under the FDA’s jurisdiction (with the exception of seafood and juice, which are already covered by HACCP standards). If you’d like more information on some of the following terms, refer to our HACCP page. HARPC: Requires a qualified individual with training and experience. HACCP: Both types of plans cover chemical, biological and physical hazards. HARPC: In addition, HARPC covers radiological hazards . HACCP: Identifies CCPs, doesn’t recognize Preventative Controls. 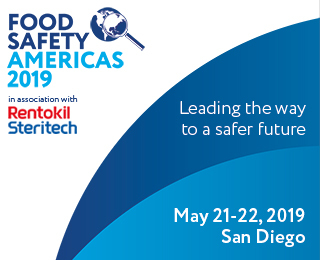 (CCP: A step at which control can be applied and is essential to prevent or eliminate a food safety hazard or reduce it to an acceptable level). HARPC: Doesn’t distinguish CCPs from other types of Preventative Controls (Preventative Control: Reasonable appropriate procedures, practices and processes that a person knowledgeable about the safety of food would employ to significantly minimize or prevent). HACCP: CCPs have a specific threshold that draws a line between what’s acceptable and what isn’t. HARPC: Not all Preventative Controls have specific limits. HACCP requires evidence that the plan is effective. All elements of the HACCP plan fall under the validation scope. HARPC require technical or scientific information that backs up the plan. Specifically, information that demonstrates the plan will be effective at controlling hazards. For HARCP, allergen controls, sanitation controls, and the recall plan aren’t included in validation. HACCP keeps records for at least 1 year for perishable items. Non-perishable records are kept for 2 years or for the shelf life of the food, whichever is longer. HACCP plans are re-evaluated at least once a year, or when there are significant changes. HARPC re-evaluates plans at least once every 3 years, or when there are significant changes. If you have HACCP, that’s great! It’s still foundational to international food safety standards, and in many ways complimentary to HARPC. But if you do business in or with the U.S., and your products fall under HARPC’s jurisdiction, make sure you’re ready. The comment periods for preventative controls for human and animal food wrapped up this winter. The next step is publication of the final rules, and finally enforcement by the Food and Drug Administration (FDA). Prepare yourself and ensure you’ll be compliant when the rules take effect in the coming months.